When I first decided I wanted to become a Doctor, I was so into it. I remember in grade 2 (1994), my mum got me a first aid play box – it came with a stethoscope, sphygmomanometer, otoscope and reflex hammer. In grade 3 (1995), I made my first set of colored bandages and swipes during an art class. And then, in grade 5 (1997), my dad got me “operation”. It was a fun game that mimicked the operation table of a surgeon. Somewhere along the line, I decided to be a Chemical Engineer like one of my maternal uncles because I learnt he was making a lot of money. Sadly in 2000, based on my JSCE results, I was placed in the senior school for those poised for medically inclined line of work. I was so upset and wouldn’t have it. I complained and fought for engineering. I got it, but then it took me 2 years of bordering on failing advanced math to realize engineering wasn’t my calling. One night, I remembered again that I wanted to be a Doctor and decided never to derail again. I fueled the dream by reading think big by Dr. Ben Carson, M.D. ; and 2 of his other books. He became my first mentor and motivator. My fight to become a Medical Doctor, took me into Covenant University where I studied Computer Science for one year. It wasn’t a waste because while I was there, I got the inspiration to be an Oncologist. I left CU and spent the next 2 years of my life in Houdegbe North American University (HNAUB) in Republique du Benin. While I was there, I was being trained to be a Medical Doctor and I loved it. The school had one too many challenges so I accepted by mum’s suggestion to transfer to Canada to continue. I got to Canada and after a while, I began to have a twenage life crisis after at sat down one day to do the math. First, I had to do a 9-month program. Next study any 4-year program (most likely Psychology or Health Studies). After that, write the MCAT and then study Medicine for 4 years plus another 2 years in clinicals/internship. Finally, about 3 years shadowing an Oncologist. That was 13-14 years before I would be free to practice – at age 32/33. Tell me you wouldn’t freak! I couldn’t help thinking that if the Nigerian system wasn’t so sloppy, fresh out of high school, I could have been an Oncologist at 26 (10 years). Sometime after getting into McMaster, I lost absolute interest in medicine. I decided to focus just on Health Studies (which I’m in my Third year of presently) and do a Masters program in Public Health – and most likely get a job with the UN or WHO. At age 17, while in Covenant University, I did a compulsory course in Entrepreneurship – we were educated on entrepreneurship and investments. I didn’t really pay do much attention during the investment classes ‘cuz I was already radical about it lol; and besides, my dad had taught me basically all we were being taught. He had tons shares in pretty much every company on the Nigerian Stock Exchange, kept buying more for himself and all of us – his children. Much to my mum’s dismay, I caught the fire at age 15 and continued to buy for myself from my savings (built primarily from the dividends lol). Anyway, we were given a project in CU to map out our dreams over the next 5, 10, 15 and 20 years. Mine included Oncology, Research Labs, Automobile Company (Ritmo Car Company) and Resort (Pearl City/Adade Resort) with my younger sister, Veronica. That was my first attempt at thinking big. I guess it was no surprise that at 20+, I started Pearl Creations. Funny thing is I still don’t know how I remembered about the buttons. It was birthed from a plan I had with my HNAUB roommate in 2005. Almost two years into my business phase, I still catch myself thinking if I’m actually doing the right thing. I wonder if I was meant to be doctor or if all I went through was to bring me to this end ‘cuz I can’t read medicine anymore. I feel like I might feel fulfilled, but will be simultaneously miserable. Miserable that I spent 26 – 27 years of my life in school becoming an oncologist! I already did the calculations and I couldn’t be an Oncologist before the age of 30. People tell me it’s not how long, but how well; frankly I don’t think they’re putting themselves in my shoes. For goodness sake, I can’t spend practically my entire life in school? I think it was around that time I decided, you know what, I’m going to be an Entrepreneur. I’m going to be business-oriented, work for myself, start from scratch, think BIG and build my way up. I started by dreaming new dreams and pondering on some new ideas; and just as I was done, I watched “Two weeks notice” with High Grant & Sandra Bullock. In it, there was an appearance by a Mr. Trump. He was portrayed as some wealthy socialite. I had heard Trump a couple of times, but never really bothered to look him up. So after the movie, I decided to google Donald Trump and see what all the fuss is about. Well, he is a big deal. Just check out trump.com and see for yourself. After this, I read his biographies and story. Now, he’s my new motivation; not just because of his story, but because he has built a thriving empire (similar to the one in my dreams) from virtually nothing. I have spent time thinking about how short life is and how little the time we have to make an impact on earth. It’s been six years since I left high school. I was one of the first to go straight into college and I’m still there! A lot of people tell me I should be happy and content, ‘cuz at 20, how many people can boast of a company (especially in a country that they aren’t from), earning their own money and even being profiled in newspapers and blogs?! I thank God for all of that, but I believe I can be much more! One day, I decided, no more medical school…just like that! Next, I decided to put my new bigger dream in ink – Pearls Incorporated. Pearls Inc consists of Pearl Cafe, Pearl Creations, Pearl Academy and Pearl Hotel. I was so excited! I began drawing up plans, blueprints, structures, websites etc. It all sadly came to a halt after my dad passed away in May. It made me think more about time. It made me more family oriented, motivated to succeed, but I digress. More and more, I think everything happens for a reason…even the passing away of my dad. I see reasons why things happen – where I am, why, where I was, what’s happened. It’s all coming together like a puzzle that’s being put together piece by piece. So to the array of dream companies, I decided to add my dad’s start-up – SKA Ventures (a financial solutions company). I think SKA (pronounced “scar”) came from his name – Sylvester Kay Adade; which is in tune with something I learnt from him and Donald Trump – the power of personal branding. He also thought me the importance of expanding and not limiting oneself. Hence, believing God, I pluralized all the Companies (e.g. Cafe to Cafes, Hotel to Hotels & Towers etc). And until last week, I called the umbrella company, The Pearls Incorporated, because it was all pearl this and pearl that. But now, taking a cue from my late dad and the donald, it is now: The SKA Group! Since I am Sylvester Kay-Adade II, the company name ain’t far fetched lol. 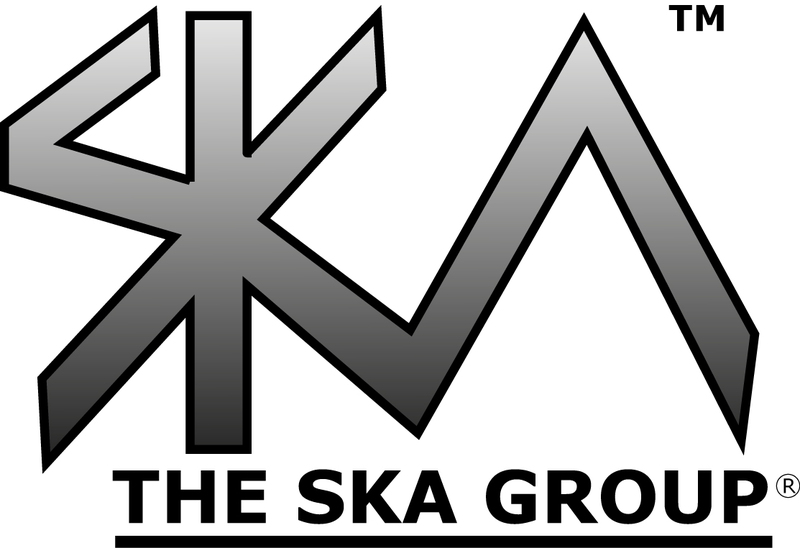 The SKA Group – The umbrella Company for all my companies. So, as of January 1st, 2010, the umbrella company for Pearl Creations, Suave Clothing, SKA Ventures, Pearl Academy, Pearl Cafes and co will not be The Pearls Incorporated, but The SKA Group. The Pearl Academy – middle and high school. Kasope A* (my high school best friend) and I thought of this way back in high school. The plan is still underway, though I think it is eventually going to be a lot more than just a high school. Pearl Cafes – group of high-end coffee shops. Pearl Creations – creative arm. Pearl Hotels & Towers – accommodation and relaxation. Pearl Lands & Realtors – real estate leases, rentals and sales. SKA Ventures – financial services & solutions. Suave Clothing (formerly Pearl Clothing) – formal and stylish clothing sales. Sylver Publications – printing and publication services. – Don’t be afraid to think big and dream bigger. 1. From a past event: http://www.womenpower.ca/events.php. If you scroll down, you’ll run into a picture with three (3) national buttons. This was from the second event Pearl Creations appeared in – The 2008 Tiara Festival. This is what was stated – PEARL CREATIONS: If you want to show your support or concern for a country of your choice- Kenya, Sudan, Israel, Pakistan, Iraq, Zimbabwe, you name it. Pearl Creations makes national buttons bearing the flag of any country. 2. From a fellow young entrepreneur and blogger: http://inspiredtosucceedbysituations.blogspot.com/2009/02/check-out-pearlcreationsorgits-all.html. I was shocked to see this. I felt very honored – it’s always nice getting recognition from your pairs. This is what was stated – Hello everyone, the last two post has been about business creativity. I really loved the concept being pearl-creations with the use of the All-Me-Buttons. From my own personal perspective, it takes a very creative thinker to come up with new ideas such as personalizing one’s own personal buttons. Go check them out on their blog and website listed below: pearl-creations.blogspot.com. Have a fabulous Sunday. (i) The YMCA Northern Zone Youth Forum is marking the Day with an 8-day summer camp. Besides regular camp activities, the commemoration includes a visit to the Plateau State House of Assembly to encourage legislators to support action on environmental issues. (More information: simonkaru@yahoo.com). (ii) A young student who started a company in January this year, to make button badges, will be making and distributing buttons on the International Youth Day (IYD) to tell young people about the part they play in saving the planet. (More info: http://www.pearlcreations.org). (iii) A road show and an endurance trip from one end of Abuja to the other, which will pass through major city centers and present messages on the theme of the Day. (More information: info@aygf.org; http://www.aygf.org). I have been trying to get the attention for various schools – particularly mine (McMaster University) and University of Windsor. I finally got the attention of both and on the same day…weirdly enough. There’s a store in McMaster University’s Student Center called the Union Market. It is operated by the Student Union. It will have the National Buttons and All-Me Buttons up for sale soon. 4. I also got a 500-word advert spot for the National Buttons from the University of Windsor. The ad was mailed to all the students and the Button Up ad was put on the website (http://www.uwsa.ca/pulse/) as well! This is what was stated – Button up! Do you miss home and you can’t go back yet? Is it your independence or national day, and you want to celebrate in a stylish and affordable way? Or do you just want to show your support or concern for a country of your choice? Well, look no further – we’ve got the National Buttons bearing the flag of any country. Represent where you’re from in style and let the whole world know who you are and where you’re from. There are over 100 flags, slogans and impressions to choose from. We take single and bulk orders and offer great discounts. For more information email mr.buttons@live.ca or visit us www.pearlcreations.org. Perseverance and hard work actually do pay off! Also, I found this website/program that values a website according to the number of its daily views as well as some other criteria. I tested the website and discovered pearlcreations.org is valued at about $1000USD! Not bad I guess! On the eve of January 31st, I came across an event on Facebook tagged: The Legacy Festival: Black History Month 2009. I read through the description of the event and I was intrigued by the depth of thought that seemed had been invested into the Festival’s preparation. It was all organized by a Gentleman named Robert Small. I presumed he was an Artist because I saw artwork in some photos publicizing the event. I also visited his website to see more and I realized his organization was a big deal. Remembering my FIFA 2010 experience with the Licensing Company, I was skeptical about approaching him, but I went ahead with it. I planned to suggest National Buttons, but while there on the website, I noticed a beautiful design. It was maple leaf with the 3 colors (which stood for each of the TLF weeks); and then it hit me- this would make for really cool memorabilia for this event! Finally, we agreed I would come on the night of the final event (Saturday, February 28th) with 30 buttons and he’d pay for those. If after giving them out, people liked them, then next year, he’ll do about a 1000 Buttons! Unfortunately, I forgot that there was also a Black History Event organized by the McMaster African Students’ Association (MASA) for that day. I couldn’t miss it because I was scheduled to sell buttons at the event, as the Secretary of the Club, I had to be present; and the event it was my suggestion. Until then, MASA had never held a Black History Month Event ever. The day came, I made plans to stay till the end of the MASA event and then leave for the Toronto as soon as it was over; and I did just that. – Grant DaCosta, a Sudanese drummer and musical instructor. He bought a Sudan national buttons and took my card; and then also got a contract from him…I spill more on that if it does happen. – Klyde Broox, an entertaining and brilliant Jamaican dub poet. I look out for his book: “My best Friend is White”. – Kaesan, a young and talented Ghanaian Guitarist. – And a host of other people from SISO Hamilton and other McMaster University Groups. It end at 9:00pm so I caught the 10:00pm GO-Bus to Toronto. I got to Union Station at about 10:45pm and took the subway to Cumberland. After getting unto the street, I went in the opposite direction for about 20 minutes; and then had to go all the way back. Eventually, I got to the venue at about 12:30am! After relaxing, I had a couple of drinks and waited for Robert to arrive. When we finally met at about 2:00am! I was so happy when we did because I had almost decided to leave. After meeting him, we talked some more business, he told about some of his early entrepreneurship activities, he paid for the buttons and introduced me to his lovely wife. All in all, it was pretty good first black history month for Pearl Creations and I! If there’s anything I learnt, it’s to be bold and not afraid to put oneself out there! When you do good, good is done back to you. One afternoon I was walking by the Student Center in School and I saw a friend of mine at table trying to raise extra funds for an event she was an Organizer of. They were taking $1 or $2 donation, but I made a $10 donation; and they were so grateful. I just felt I did my part seeing as a friend was involved. Also had a choice of a brownie or cupcake. I took the brownie ‘cuz the same friend baked them; and they were rather yummy. Not too long after, the same lady asked if I could make buttons for the occasion they were having if I was given the design, and I did. I made 10 which she asked for as samples. The others loved them! And so later on, they made a bulkier order. However, they needed them to be 1.5 inches cuz at 1 inch, the design wasn’t too catchy. I talked to Levi, another Partner, he makes larger buttons than I do and it wasn’t a prob. The amount was kind of enormous ‘cuz of the amount they wanted and felt l needed to help them out even though it was business. So that’s what made me introduce the Student Discount. Which brought their bill a lot lower and I got a free ticket too! The Event, the Ontario Universities & Colleges Hip Hop (O.U.C.H.) Dance Off 2008 was totally off the hook! It was even hosted by one of my favorite TV personalities, Matte Babel of Much Music. He’s awesome lol. I couldn’t stay to the end however, I had another event that same night to sell buttons at! The coolest part was seeing the members of the different dance crews with their OUCH Buttons on. I felt so honored! lol. Back home in Canada, I finally successfully exhausted all my fliers by the midnight of July 13th, and contentedly waited for orders to come in. Amidst the wait, through God’s inspiration I came up with a couple more marketing strategies. I started by making forwarded email messages with info on Pearl Creations, like other companies do. The first one wasn’t too cute so I made another that beat it hands down and made another about 3 weeks later that had some of my info and stuff. Hopefully, the friends and family I sent them to, read and forwarded them as well. Next, I started reading a really good magazine- black enterprise. It’s a magazine that publishes the success stories of black executives, big & small time entrepreneurs. It also had tons of hints and advice for upcoming entrepreneurs. I followed their methods closely and it was super helpful. I learnt how to draft a good business proposal and how to make a good company information script- a document that had the information about my company in a clear, precise and attractive form. I got a lot of help from black enterprise. I also read an article about what makes a good website and quickly updated mine. I actually got a lot of help on the improvement of the website though. I got a customer from West Africa who liked the idea, but just didn’t understand what exactly the buttons were. He thought they were like shirt buttons. I found that very amusing, but then I figured he might have not been the only one who wondered. So I first of all, I took the pains to explain to him in detail although, I got frustrated a couple of times. He eventually placed an order 🙂 so it was worth the trouble lol. That same night, I made a “product” page that explained what the products were especially the buttons; and then put in some extras as well. I read about an article about a good “about us” page. Got the proper format, applied it and modified mine…I also got some help with that from God and my uncle as well. My uncle said nothing beats word of mouth, which I agree. So along with the lesson I learnt from my mistake at the Tiara festival, I decided to get business cards. I designed a business card and ordered a couple. At least with that, I could walk up to people, talk to them about my business and give them my card to contact me…it’s also kind of cool as well giving out cards….”here’s my card, you should give us a call sometime” lol. The next strategy was probably the best suggestion I had gotten yet. An uncle of mine in the U.K. advised me to send emails out the organisations. I tried it earlier, but I kept my focus very low. I emailed literally hundreds of ethnic student groups and got about 3 replies. It was quite discouraging. I hadn’t look at the big picture or realised the business’ full potential. I visited the websites of various ethnic and multicultural groups, got their contacts and emailed them one after the other. I told them about myself, how I started, what I do, how I could be of service, sent pictures of buttons that would interest them, and also, just to prove my authenticity and I wasn’t a fraud, I added the link to the write-up on me in the news- the Hamilton Spectator. Surprisingly, I got feedback from a lot of them. I’d say about 35% of the emails I sent were responded to. I began to see how much work working is as compared to school. You know you have to do it to survive, while with school, well it’s sort of negotiable. After doing that, he also suggested I emailed international organisations such as Wimbledon, the Olympics and U.E.F.A. etc. and tell them I was seeking contacts with them…that way I sell in bulk, make more and get more publicity. This meant my emails were going to be contractual applications/emails. I thought it was a long shot and going to be a big leap, but I did it anyway. Since these were big organisations, I decided to email and write them. I sent my emails in the same format: introduction of myself and then of my company, my products, my services, usefulness to them, my plans, attached pictures of buttons that would interest them, and the news link. I also applied the same format in the letters except that I had to make them very formal (obviously), brief and precise. I couldn’t attach pictures or the news link. This is where the company information script came in useful. I was so happy everything fell into place. I addressed one to the Olympics Committee in Beijing, China; one to the 2010 winter Olympics committee in Vancouver, Canada; and several to several European organisations and groups. I gave the uncle I was staying with the finalised letters to proofread…lucky for me he’s an English language major. He made some minor corrections and I necessary adjustments. Next, prayed over them, I attached all of them in an email and sent them to my uncle in the U.K. He also proofread them and then mailed them for me. All in all, I’m sure I emailed and/or wrote about 60 organisations and groups! My fingers were burned out! Within weeks, I was almost losing hope and contemplating re-sending emails and letters. Eventually, I got very positive feedbacks from the first two and the go! I was so excited and thankful to God! I think I even blacked out cuz I can’t remember what I did besides beaming all over the place lol. This was a good sign and a good beginning – the dawn of $$$ lol. Less I forget, I also decided to make a survey. I read in an online business article that surveys help you better your company’s productivity, customer service and makes the customer feel important and like part of the company. After about 2 days of learning how to make one, planning questions and editing, it was ready. I emailed all my former customers, all my facebook groups’ (pearl creations, national buttons and all-me buttons) members and announced it in my status message…I’m presently still announcing it. I also continued with my emails to organisations, companies, groups and event organisers. I dwelled a lot on Canadian organisations especially those in Ontario. After all I discovered Ontario was one of the top 5 places to do business in Canada, so what did I have to lose? I put my printer to a second good use and printed out my 2 fliers/sheet posters. I made about 50 color and b/w copies. I made a few adjustments too. 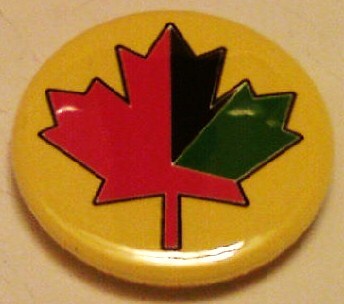 For example, the Canadian fliers have the national buttons of the major ethnicities in Canada, like China, India and Italy; and also included the company’s telephone number. I did that so people could call instead of waiting till they got home before they could order. And I bet by then, most people would be tired and would have forgotten about the flier, talk less of the website or ordering. I decided to take a different approach. I emailed my friends in different colleges across Ontario asking if they knew of places in their schools where students could put posters/fliers without hassle. They all replied positively. I asked if they wouldn’t mind printing out the fliers for themselves and pasting them for me, and they all agreed. So now I have the fliers in some colleges across Ontario :). Plan to contact some friends in the states soon. Next, I decided go to places and ask for permission to post the fliers in their offices, apartment buildings etc before doing so. I’m yet to begin that though lol. My most recent endeavour and leap of faith was my approach to the Nigeria High Commission, Ottawa, Canada. I sent an email in the usual format: my name, company name, products, services and contract permission. I made a letter in the usual formal format and attached the company info script. I was extra nervous because I was going to send this one out myself. This was the embassy I was sending this to, not just anyone, and I addressed it to the High Commissioner for that matter. I proofread my email and letter about four times, and sent both email & letter out the same day. I sent the letter by XpressPost so it could get there the next day and so I could also track it. To my greatest delight, I got a call from him in the “flesh” about 10 days later. When I heard my cell phone ring, I picked it and saw the caller ID – Nigerian High Commissioner. I was shocked, cleared my throat and sat up straight lol. I guess I was more surprised cuz I thought he’d tell his P.A. to call or something. I was respectful and tried to sound as calm and business-like as possible. He asked me to explain the types of buttons and how much they were. He was particularly interested in the Canada/Nigeria blend. After my explanation, he said he’ll keep in touch, but one of his colleagues would contact me soon. He also said he was going to keep the company information script in his files. I was so happy, I was like thank you sir and have a lovely day lol and he said you too :D. See how I’m all psyched about the call lol. It took a while, but true to his word about 2 days ago (Tuesday), a minister contacted me via email. She said she was requested to ask me to send a sample of a Nigerian button and a Nigeria/Canada Button. I replied that I would immediately. I got 2 samples, packaged them and headed for the post office. I emailed her when I got back home that I had sent them and thanked her. She got back to me and said she’d get back to me when she received the package at the embassy. I also sent it by XpressPost. I hope to keep you posted. Based on the feedback from the survey, I had to be more explicit in my information, improve the color and size of the buttons in the slides, send reminders of independence days, increase shipping costs, change the free delivery criteria, improve delivery time, make the website more colorful and interactive. I basically had a lot to do. I spent 7 hours (8am to 3pm) straight in front of my laptop editing the website- general info, changing pictures, altering shipping prices, contacting Canada Post and a lot of stuff I can’t remember right now. I also had to improve and edit the company information script. It was then I realized why the Ambassador had questions about the buttons, I talked about everything except explain what the two (2) buttons I was blabbing about were! I added a concept subheading and explained what buttons were and the concepts behind mine. After I did all that, I had to back up all the information as I usually do. When I thought I could finally rest, it dawned on me that I had better send a new copy of the company information script to the ambassador. Since he was going to save it in his files, he might as well have the new proper information. So I drafted a new letter. I also used it as an opportunity to thank him or his call, and that I appreciated his interest. I also added that as he had said, a colleague of his did contact me. I contemplated calling his mobile, but I figured that might be too forward and it might seem like I’m trying to be familiar. I printed out the letter & new script, and headed for the post office again. All that was yesterday! I spent today chilling, uploading pictures of new buttons, taking down new orders, packaging buttons, making calls to the customers and of course, blogging. I contemplated putting all this info on my blog, but one faithful blogger told me, in her own words, “Everything is bloggable”. I decided it could help encourage other young entrepreneurs as myself, but I blotted out names and financial figures for security purposes. That’s all (for now) folks! It’s the end of the month, so I’ve got to go do my accounts!